Home > Specials > Buy Gift Certificates to Our Spa Online! 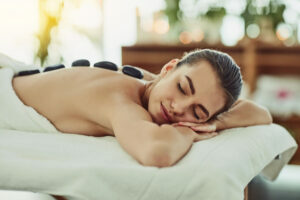 At Lotus 5 Senses Spa, we’re here to help you relax, unwind, and rejuvenate! Now, you can help someone else take a minute out of their busy day for some “me time” by buying them a gift certificate to our spa online. Our online purchase process makes it quick and easy to give someone a gift they’ll appreciate. Our gift certificates make great gifts for baby showers, anniversaries, birthdays, or any other occasion. We go the extra mile to make every one of our clients feel comfortable and relaxed. Absolutely love Becky! I’ve been to several spas in my day with numerous therapists- Becky is definitely one of the best therapists I’ve ever had. Very knowledgeable and does a great job working on my tension areas. Highly recommend.